There is a famous Chinese proverb that has been doing the rounds over the years amongst those who work in the development cooperation sector. Some attribute the proverb to Confucius, a Chinese philosopher whose ideals and philosophy became known as Confucianism. If you had attended a ceremony at the National University of Samoa yesterday, you would have seen 99 women from Samoa commissioned as seamstress and fashion designers, courtesy of the People’s Republic of China Embassy and the Hunan International Business Vocational College. The conclusion of a three-week programme, wherein the women undertook training in sewing and creative handicraft, would compel you to think about the Confucius proverb and how a simple, community-focused aid programme can make a difference in the lives of these women and their families. The training also came with sewing machines, which will now open up income generation opportunities for the recent graduates. The occasion was not lost on the Minister of Women Community and Social Development, Faimalotoa Kika Stowers, who represented the Government at the presentation. “Thank you for believing in our people and trusting our systems, in continuing the advancement of modalities that will see Samoa achieving not only the SAMOA Pathway, but also the Sustainable Development Goals 2030,” she said. These forms of development cooperation assistance sets China apart from other donors, as it is more community-focused and is a learning programme that a lot of communities can identify with. It is not surprising to hear that the programme is quite popular and is now into its second year. The Ambassador for the People’s Republic of China to Samoa, Wang Xuefeng, told participants and guests yesterday that more people are making queries on how they can participate. “The first training course on creative handicrafts and sewing skills for Samoa was successfully held for 80 women from four villages in Samoa. In the past two years, many women have learned the sewing skills which enabled them either to find a new way of earning money for their families or to improve their life through sewing clothes for all family members with their own hands,” he said. 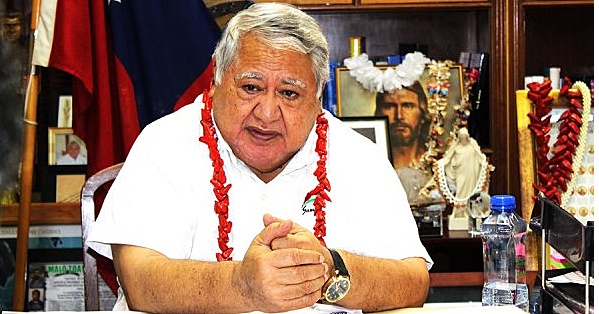 While Chinese development assistance to Pacific Island nations including Samoa, has come under a lot of scrutiny in recent years, there is no doubt they have done their homework on the needs of Pacific Island families. But the work of a diplomat is not always cut out for him or her upon their deployment and arrival at the Post. A lot of times it is the drive and passion of the respective Heads of Mission, which can determine the areas of focus in terms of bilateral relations and the delivering of foreign policy. Ambassador Wang appears to have committed himself to the cause to build relations between his country and Samoa at the community-level, and his work could have long-term benefits for both his country and the Samoan women (and their families) who participated in the training programme. Have a blessed Tuesday Samoa.